With Apple's WWDC 2012 now coming to a close we can now rest our hearts and prepare our wallets for the beautiful gadgets to come. By the way WWDC stands for Worldwide Developer Conference in case you're wondering. With that out of the way let's get down to the first drool worthy gadget to come out of Apple's "refreshed" line. The Macbook Air was already awesome when it came out and luckily they made things even more awesome to the point that I may already be puking rainbows and butterflies just by thinking about it. 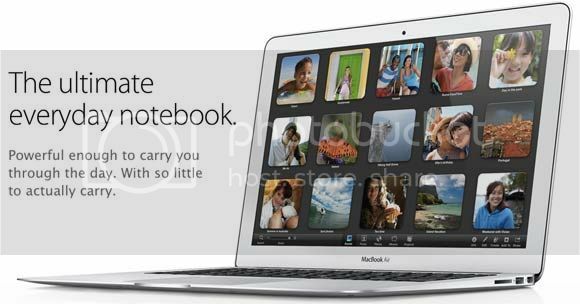 With faster Ivy Bridge processors, all USB 3 ports, 720p Facetime HD Camera and a faster but integrated graphics card the 2012 Macbook Air will probably make it to our arsenal of thin and light notebooks, assuming we have a minimum of USD 999.00 dollars lying around.